As an employer, we accept the responsibility for the leadership of a safety program, its effectiveness, improvement, and the task of providing the safeguards to ensure safe working conditions. In order to continuously reinforce our program objectives we utilize several methods of communication with our employees after their new hire orientation. Providing employees the necessary tools to do their jobs while complying with all the rules and regulations while continuously practicing safe work habits is an important part of the TWR process. 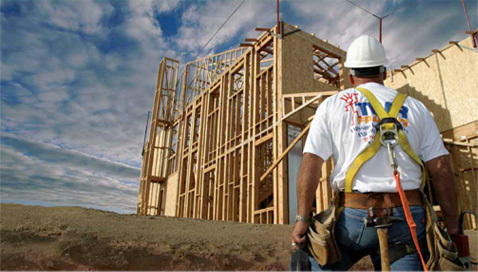 TWR has been in the construction industry for over 30 years and has been contracting with multiple builders, supplying general framing services associated with multiple floor plans in communities throughout Southern California. TWR has approached their safety program with the same commitment of quality and achievement as their work product. The formal terminology for this technology is a Catenary Line Fall Arrest system, which meets the Cal OSHA standard for an active PFAS system. Cal OSHA has evaluated the Catenary system numerous times; the installation and implementation has met or exceeded Cal OSHA standards. TWR received the 2009 Safety Award for Excellence (SAFE) for their Cal OSHA Approved Fall Protection System. Read more on the news page.